Varicose vein is a condition that affects most adults. Some people do not experience pain at all, but for others whose veins have swelled, the pain can be unbearable. There are several answers to this question. The most common cause of varicose veins is long periods of standing or sitting without changing the position of the legs. Other causes include obesity, old age and pregnancy. What Causes Varicose Veins To Hurt? When varicose veins hurt, it means that the veins have swelled too much. Other symptoms that come with varicose veins include cramping of the legs, leg pains, itching and in some cases, dark spots on the affected region. The presence of varicose veins should not alarm you since they can be removed in several ways. 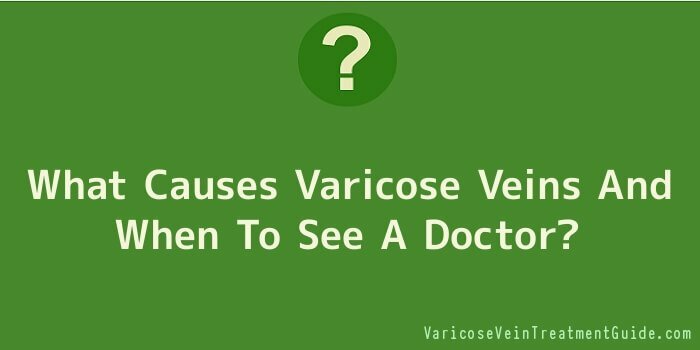 However, you should seek help from a doctor if your varicose veins prevent you from doing your daily activities. If the pain gets worse or if there are rashes and bleeding, it is best to have them checked. In these cases, it is best to consult a vein specialist. A specialist can give you a more detailed answer to what causes varicose veins, specifically in your case, and the best option to get them removed. Finding more answers to “what causes varicose veins” and getting the proper treatment is not rocket science. Sitting down with your physician and having a one-on-one consultation will give you all the answers and put your mind at rest. Although you can seek laser treatment please be aware that there are always new treatments being made available, these can be non-surgical and also low cost.